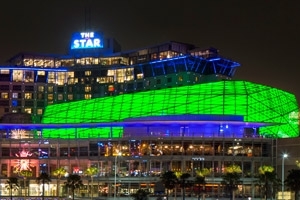 Built on the rooftop of The Star with views over Sydney Harbour and the city skyline, the venue has been designed to host A-list acts from around the world in intimate concert s​ettings as well as domestic and international conferences, exhibitions and awards functions. 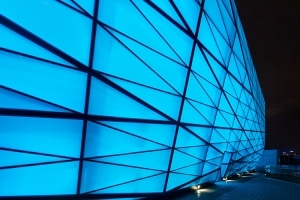 A highlight feature is its distinctive gemstone shape and translucent glass shell exterior. 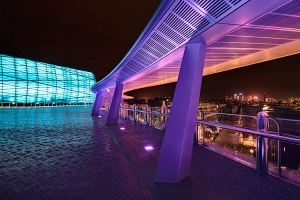 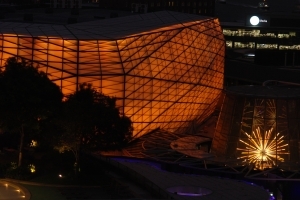 The use of backlighting within the glass façade allows the venue to morph into different colours at night making it highly visible from various corners of the city.